“Chronicling The Craft” is an article series where I share my experience with writing my current work-in-progress (WIP), which is a fantasy novel. Every 5,000 words, I let readers know what I’ve accomplished since the previous article and share advice, discoveries, techniques, etc. Besides the word count in each article title, a “chapter ticker” at the top also tracks my progress as I use the skip-around / “writercopter” method to write the novel. Today’s installment celebrates the book reaching 100,000 words in length. Chapter 22 is done! It’s much longer than it should be, so I’ll have to take the scissors to it in Draft #2 and cut, condense, etc. to help lower the overall word count. But for the moment, it’s done. Oh, and without giving away details, the final scene in this chapter makes me feel warm and snuggly inside. It needs serious revision in hindsight, but I’m pleased with the direction it’s taken. On past Chronicle reveals, I’ve covered Eva’s character profile, her race (Faeries), and the WIP’s villains and antagonists. Today’s topic covers a different but necessary side of world-building for this universe: magic. I’ll share select aspects of the Faeries’ magic system, as well as some of my inspirations and decisions while creating it. All Faeries are born with magical abilities, and their magic originates from within their bodies. As a result, Faeries believe the soul is the origin of their magic. Also, the act of casting spells or other forms of magic is physical as well as psychological. Faeries must first visualize the spell they wish to perform. Then, they must speak the appropriate words in their language to create the spell while moving their spell-hand / spell-arm to release the magic. If a spell is difficult, the spell-caster may have to repeat the words or phrase several times before the spell will work. While all Faeries can perform magic, each is born with varying degrees of magical skills. Some Faeries can master the most powerful spells and create new ones. Others can only do the basics. It’s sort of like how we have different natural strengths and talents. Some of us are good dancers or engaging public speakers; others trip over their own feet, or stammer and get flustered in front of a crowd. One of two questions I often ask when reading fantasy is, “Does a magician or spell-caster feel any physical sensations when they perform magic?” Unless I’m missing something, much of the fantasy novels I’ve read skip this idea altogether. Sure, it may not affect the plot – but wouldn’t it help make the magic system seem more realistic and add to the reader’s overall experience? My answer: Yes! So, in the WIP, I’m including (when appropriate) brief physical sensations when Eva performs magic, from tingling in her hands and arms during minor spells, to a swell of adrenaline through her body during more powerful spells. 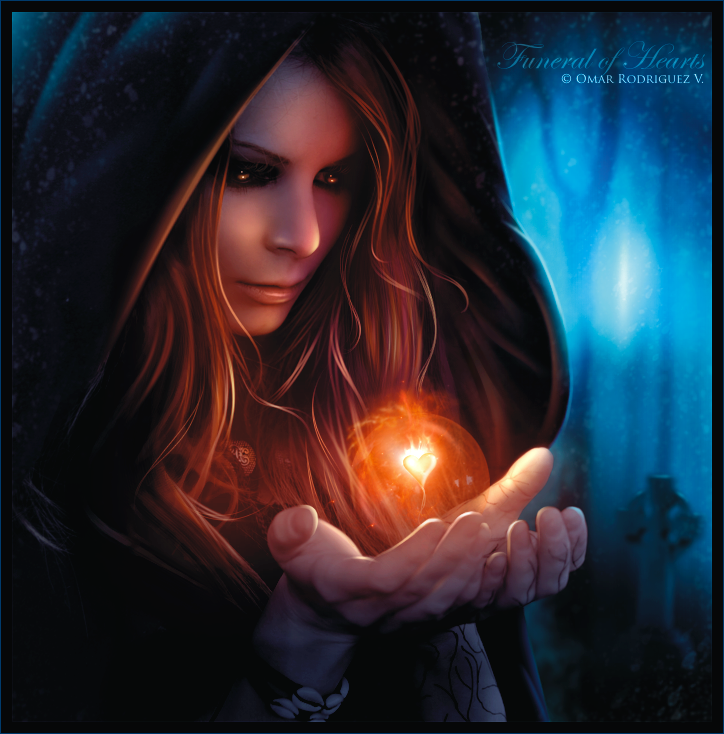 Self-Defense / Protection: Faerie magic can be used to protect oneself or others in the spell-caster’s immediate area. Examples from the book include the split-second shield spell (deflects objects or blocks an advancing opponent) and an earth eruption spell (aimed at the ground in front of an opponent, then explodes like a geyser to throw the opponent off his/her feet). Play / Entertainment: Faeries use magic to entertain guests of other races, especially children. They can create illuminations by casting the appropriate spell(s) into a fire and – BOOM! Up in the air they go! A number of Faerie games also involve magic. For example, during fanesiela (a cross between tag and hide-and-seek), the seeker tags any players he/she finds in hiding with a “dart” of magic. Spying / Espionage: Want to be invisible? Or silence your footsteps so they can’t be heard? Or talk to your co-horts without being overheard? You can do all this if you’re a Faerie in Eva’s world. All three spells last for about 1 hour, though – so be quick! “Floating Candlelight”: This is similar to the wand-lighting Lumos from the Harry Potter series. Faeries can cast a faint sphere of light that floats above their heads and helps illuminate a darkened area for 1 hour. Eva uses this spell twice during the WIP: once when she’s looking for something in her bedroom, and again when she’s visiting a library in the middle of the night. Flight: In Eva’s world, Faeries are the size of human beings. In other words, as tall as you and me. Thus, even though Faeries have wings, their magic contributes to their ability to hover, fly, and race through the air faster than most birds. Story-Spinning / Truth-Telling: Faeries can story-spin with their magic. They can cast a cloud-like circle that shows images of the story while the spell-caster tells it. Story-spinning works best, however, when the caster is telling the truth. If the story-spinner’s magic senses that certain parts are inaccurate or fabricated, the cloud-shaped image will waver or appear muddy. So, in a way, story-spinning is a sort of ancient “lie detector test” for Faeries. “Secrecy Ink”: Think of this as invisible ink triggered by magic. The Faeries invented it centuries before the WIP begins so the royal family and travelling diplomats could correspond without worrying that enemies could intercept and translate their letters. And how does a recipient read the “invisible ink”? By throwing the letter into a fire! The magic-infused ink protects the parchment from completely burning. Memorial Services: When a Faerie dies, their magic remains inside their body. Thus, their loved ones must perform a ritual known as “deliverance” to send what’s left of the deceased’s powers into the sky. They stand in a circle around the deceased, hold hands, look down at the ground, and sing a song that’s essentially a permanent spell. By the end of the song, the magic – and the deceased’s body – disappears. Faeries have 7 days to complete this ritual, or else… well, check out the section titled “The Bhadurak” in this Chronicle to learn what happens if they don’t. Shape-Shifting: Faeries can’t change form or alter their own appearance or the appearances of other living beings, animals, or inanimate objects. No shape-shifting or warping happening here. Manipulation of Free Will: Faeries can’t manipulate the free will of animals, other Faeries, or people of other races. In other words, they can’t force others to think, move, or act a certain way. Everyday Tasks: A Faerie’s magic doesn’t help them perform simple or everyday tasks that they’re physically capable of performing (eating, hunting, moving objects, etc.). Injury and Bodily Harm: Faeries can’t draw blood or intentionally injure others using magic. The one exception to this is a permanent curse known as maronaava (see “Curses and Other Outlawed Spells” below). Healing: Faeries can’t use their magic to heal wounds and broken bones or treat illness. Limits on Existing Spells: Individual Faerie spells have their limitations. Most are temporary and wear off after a certain amount of time. Also, the spying / espionage spells listed earlier can still be detected by other Faeries. For example, if Eva makes herself invisible, other Faeries can still see her. Nature: Manipulating elements of nature (weather, water, fire, etc.) to work outside their usual functions. Faeries practice a nature-based spirituality, so this kind of magic is considered a show of disrespect. 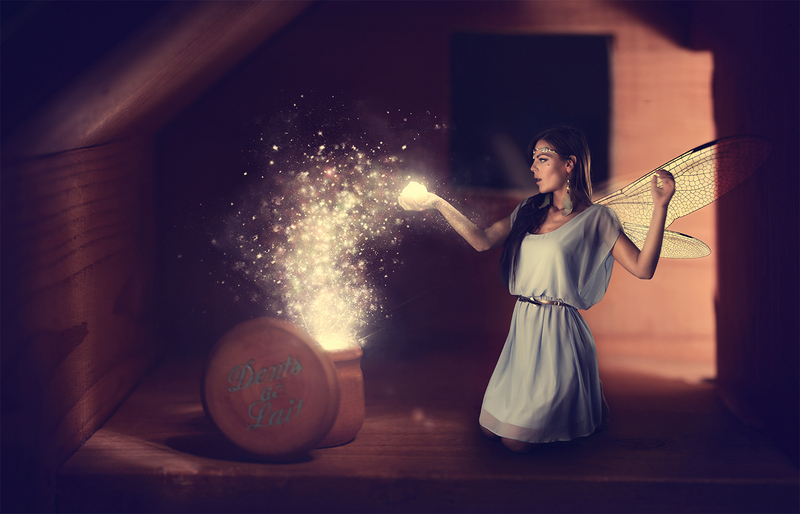 Magical Interference: Interfering with another Faerie’s magic, such as casting a spell to prematurely end the other’s invisibility, “floating candlelight,” etc. The only acceptable instances are when a Faerie is defending herself or another person from the other Faerie’s magic. Threats or Haunts Created by Magic: In one example from Faerie history, the Faerie King was so enraged by a cultural misunderstanding with the Mountain Folk that he cast a curse in one area of the Mountain Folk’s mining tunnels. The curse kicks up a deadly storm of high winds and rock debris when someone enters the affected section of tunnels; and since its inception, the curse has disrupted one of the Mountain Folk’s most profitable and relied-upon industries. Soul-Killing Curse: Finally, there’s the soul-killing curse (maronaava), a permanent, violent curse that rids a living Faerie’s body of magic. Since Faeries believe their magic originates in the soul, the curse must strike the Faerie’s chest, where their soul – and their heart – exists. The force of the curse not only destroys the soul, but essentially causes a fatal heart attack. So, yes, the maronaava curse can kill a Faerie. Because dark magic is considered an abuse of power, the Faeries’ royal family has placed cultural restrictions on Faerie magic over time. For example, all of the curses and unethical spells listed above are forbidden by Faerie law. This has also taught the general Faerie population to be mindful – even fearful – of their powers, and discouraged them from creating new spells regardless of whether they obey the rules and limits of their system. Which brings me to one of my favorite aspects of the Faeries’ magic system: Their current cultural mindset on their powers becomes a source of conflict in the WIP. As the story goes on, Eva grows increasingly willing to test the culturally accepted limits of her powers for both good and ill reasons. She then faces an uphill battle to convince her more traditionally minded fellow Councilors that breaking the rules is sometimes the only way to reach a goal, even if your intentions are good. Remember how the “physical sensations” question is one of two I often ask when I read fantasy? Here’s the second question: “How does magic affect the magicians or spellcasters who use it?” I’m curious to know what physical limits such powers place on the users. Does it tire them out? Do they need to rest or let their powers regenerate after a particularly powerful spell? As important as this aspect of magic may be, few fantasy stories address it. Even in J.K. Rowling’s Harry Potter series, there’s no discussion about magic’s effects on its casters. So, I decided to cover it in my WIP, and here’s how. In Eva’s world, if a Faerie isn’t careful with their powers, they can expend so much energy that they temporarily “spend” or empty themselves of magic. Once spent, a Faerie is unable to perform magic or fly for several weeks. They must rest and eat a special diet to help their magic regenerate. And if Faeries are temporarily spent of magic, it leaves them vulnerable – even defenseless – in situations where they’d normally call upon their powers. Margaret Weis and Robert Krammes guest-blog at Not Yet Read last month about creating believable magic systems with drawbacks and limits. Philip Martin shares seven tips at Writing-World.com on crafting an effective, creative magic system for your story. Also at Writing-World.com, Lital Taylor explores the importance of defining the sources, effects, and costs of magic in fantasy. Io9 compiled a massive chart that compares magic systems from various fantasy novels and series. Akitso’s Chimney also features a number of articles on magic systems. What do you think of the Faeries’ magic system? What aspects of it do you think work? Do you see any glitches, contradictions, or other things I may have overlooked? If so, please let me know by commenting on this article. I want this system to be as believable as possible, and any help would truly be welcome and appreciated. It’s better to catch problems now while I’m still in the drafting stage than later on. Next Chronicle: Sometime in January. I’ll be busy with holiday preparations and get-togethers through year’s end – and I’m also taking time off from my day job to work on the book (yay!). So, the next Chronicle could celebrate one milestone (105k) or two (105k and 110k) depending on how much progress I make. ← What Kind of Reader Are You? Whoa that is a lot to digest. Interesting in reading more about this story of yours. The only thing that stood out to me is that the faeries can’t change their appearance. I guess growing up and reading books with faeries in it, they were always able to use glamour to alter ones appearance. I have to admit, I was concerned whether people would be overwhelmed by the article’s length. But as I wrote it and kept checking my backstory document (I have a separate document apart from my WIP where I’ve dumped all my world-building, character development, etc. ), I realized, “Well, if I talk about this, I kind of have to mention that, too…” :S So, I apologize if it was a bit of an overwhelming read! When you say “glamour,” do you mean makeup or physical means of making themselves beautiful? Because Faeries do use things like jewelry, face paint, etc. – which are all non-magical. When I mentioned the Faeries can’t alter their appearance, I meant that they don’t have spells that are the equivalent to Polyjuice Potion from Harry Potter (temporarily looking like another person) and they can’t change into animals or inanimate objects. Does that make sense? Yes the article is long but your real fans are the ones that will read it and comment on the great job that you have done so far. As for glamour I was confusing elves with Faeries. So sorry with the misunderstanding. Took me a minute to realize my mistake. Hard keeping up with what magical being does what. As for everything else I agree with the Faeries not being able to shape-shift. I honestly hate when someone, anyone has too much power. It makes the story boring knowing that they can escape with the snap of their fingers. The needs to be obstacles put in their way to make the story interesting. Are you looking to have this book of yours published by the end of 2015 or do you, like the rest of the writers have the self-doubt nagging at your soul? I know that is what I suffer from. I have the story but I get in the way of myself. 🙂 That’s very true. And I give everyone who’s commented so far a ton of credit for reading the article, including you, Sanovia. So thank you for taking the time to read and think it over, and for responding. And no worries about the mix-up! My goals are to a) finish the first draft in January or February, b) revise revise revise, and finally c) have beta readers and critique partners start reviewing Draft #3 by the end of 2015. I’m in no rush to publish the story; instead, I want to take the necessary time to get it right. 2016 is (I hope) a year of querying agents, because I’d like to try to get the novel traditionally published. Wanted to ask you whether your book was for the YA crowd or the Kim Harrison, Jim Butcher crowd? My intention is YA, because of the protagonist’s age (17 / 18). Originally I started writing the story for the sake of writing it, and wasn’t sure whether my target audience was adult or YA. But now I have a better idea of that. I’m also hoping (when the time comes) that my beta-readers and critique partners will give me an idea as to whether I’m on the right track audience-wise. Very interesting, Sara! I’m always fascinated by the different magic systems authors can come up with and yours is definitely impressive. I’ll throw in a couple of ideas here, and you’re free to take or leave them as you wish. You mentioned that some spells last around one hour before wearing off. To me, this seems a bit arbitrary. Would it be more logical if the spell lasted for a length of time proportional to the caster’s magical ability? The point about collaboration being outlawed or considered a “dark magic” – is that because the rulers are afraid of being overthrown, or some kind of rebellion? Or is it because in the past, Faeries have gotten together to cast bad spells? I wasn’t quite sure (although I’m sure you’ve clarified this in the book itself). I like the idea of a kind of “critical point” after which a Faery’s magic is depleted, but I thought there should be more of a price for using up your magical powers. Maybe even just being affected physically, like being really tired or something. Regarding a spell’s length of time: That does make sense that spells may last longer depending on a caster’s abilities. The point is, no matter what, I want to make sure the spells don’t last indefinitely. For example, there has to come a point when a “floating candlelight” will peter out, or when an invisibility spell will start wearing off. I can’t remember if I had a specific reason for the the 1-hour limit, other than maybe I was reminding myself that I didn’t want the Faerie characters to rely on being on being invisible for a long period of time, to force them to act while the spell is at full strength… So, yes, maybe the timeframe shouldn’t be as strict and should be more dependent on each Faerie’s abilities, but a spell’s strength should still taper off with time. What do you think? Your question about collaboration spells and “dark magic”: Yes, and yes. This is a fairly new idea compared to the rest of the Faeries’ system, so I’m still trying to work that into the story. (It may have to wait until Draft #2.) But yes, collaboration spells have been used in the past to overthrown the royal family and other instances of personal / political gain, and so they’ve been banned to prevent others from doing the same. The condition of being “spent”: I knew I was going to forget something for this article! XD Yes, Faeries do feel physically drained while they’re spent. Their appetite increases, too, so they need to eat more to help regain their “energy.” And, they have difficulty flying while they’re spent. They can walk, run, ride horses, etc. without much problem, though. Your last comment about repercussions: *facepalm* Another thing I forgot. (It was bound to happen as this article got longer, and I had to end it at some point…) If a Faerie is caught performing dark magic, their King has the right to cut off the perpetrator’s wings in front of a crowd and banish the perpetrator from the Faerie kingdom. Said Faerie is then no longer considered a Faerie and is denied a proper memorial service when they die. I’m not sure if that’s what you were talking about when you mentioned punishment… There’s no real punishment for being “spent”; it’s more or less something Faeries need to be careful of. However, there is cultural punishment for abusing one’s magical powers – and without giving things away, that idea becomes central to Eva’s story. These were great questions, Ann. Especially the first one. I hope my answers / musings help clarify things, but if they’ve done the opposite, please let me know. I completely agree that spells shouldn’t be infinite (except perhaps dark magic spells, if you’re looking to wreak misery on your characters as we authors love to do). You could make Faeries with strong abilities able to cast invisibility (or whatever) for the full hour, whereas those with weaker abilities can only last twenty minutes, or something along those lines. Alternatively, you could make the spell strongest right at the moment of casting, but tapers off indefinitely (where at around an hour, the caster can be perceived by Faerie eyes). But that might make it a little complicated with all these half-invisible people walking around… If you want to make the spell cease instantly, I think you could make it proportional to the caster’s magical ability. Yes – being “spent”! That was the word I was looking for. 🙂 I still think the “price” of using too much magic could be a little more drastic, if you wanted to make it so, but that’s entirely your call. And I more meant a physical/mental punishment rather than law enforcement. For example, when a Faeries is “drained”, maybe they can’t think as clearly as before. Ooooooh, that’s a good idea about the timetables! And as much as it’s good to wreck havoc on our characters, it might still be a good idea to put similar limitations on dark magic – just to keep things consistent and prevent dark magic from seeming too powerful. I know how you feel, when I got to like 75% I couldn’t stop writing and I wanted it to be done so badly! Cutting is so hard, but so necessary! Magic systems are my favorite! Yours sounds well thought out. I like the physical sensations while performing magic! I do that too! coming up with spells is so hard! I like your magical fairy games and that the story spinning works better when they tell the truth. Those are good details! I have something similar when my magic people die. Their released magic leaves behind a stain. I also have a memorial, but mine’s simpler and more like fireworks created by another. It’s just weird/cool that someone else thought that out too. I agree magic should somehow effect the casters, my one complaint from Harry Potter was that the magic was too limitless. Thank you, Molly! Yes, putting together this magic system has required a lot of thought, and a lot of time. One thing I’ve found helpful is sharing it with the right people, though. A friend of mine offline is an experienced role-playing gamer (as well as being a huge fan of fantasy lit), so I made a point to share as much of the world-building with him as possible so he could help me see what areas (including the magic system) needed work. Also, I agree with your comment about Harry Potter’s magic system. As much as I love those stories, the magic system did seem all-powerful. The magicians and witches were able to do pretty much anything, though everyone’s abilities varied in each area in magic. I’m definitely intrigued! First, congratulations on your newest milestone-awesome! I saw your comment about being worried about the length of the post and have to say not to worry-I really like all the information you gave. My favorite spells (from what I know 😛 ) would have to be the protection and entertainment spells. Everything seems very fleshed out, and I definitely would read this! Great job, Sara! Thank you, Alise! *breathes another huge sigh of relief* I really did think I’d gone overboard with sharing so much information. But it seems like it’s creating as complete a picture as possible without overwhelming everyone who’s read / commented so far. Oooh, well, it won’t be ready for readers (beta readers and critique partners) until late next year at my current rate. I don’t know what your reading and blogging schedule would be like, and I wouldn’t want to interfere, but if you’re interested…? No, you definitely didn’t! It really is exciting and makes me want to know how this magic system is going to be used in your story. That sounds awesome, if I’m still around then I’d love to help out and be a beta reader if you need people! Well, it certainly looks good from where I’m sitting. As others have said, I particularly like the idea of casters becoming “spent” if they overdo things. I’m guessing this could happen to young faeries quite often, given how much magic they’d be using (flight, “tagging” etc) while playing. More seriously, Eva strikes me as exactly the sort who would overdo her magic at the worst possible moment. And given that she needs magic to even fly properly…well, yeah. Can’t see any conflicts here, though I did wonder what would happen if that “earth eruption spell” was aimed at an opponent rather than at the ground beneath them. Would the spell simply fizzle out, or would it still explode? Interesting question about earth eruptions. Since a Faerie has to verbalize a spell in order for it to work, the only way an earth eruption spell would “work” on an opponent’s body is if the Faerie changes the words so the magic “knows” to strike the opponent instead of the ground. So, if the Faerie casts a spell with the verbal intention to hit someone, they probably could… though since their magic can’t physically harm others unless it’s the “soul-killing” spell, I haven’t though about how that would turn out.